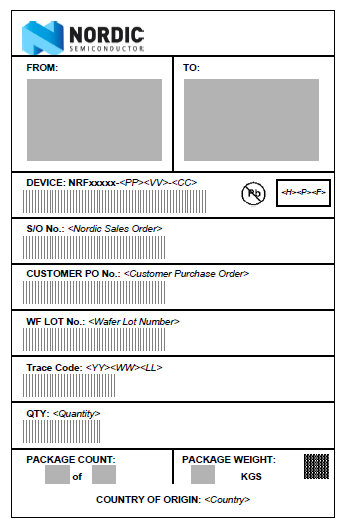 This chapter contains information on IC marking, ordering codes, and container sizes. The nRF9160 IC package is marked like described below. Here are the box labels used for the nRF9160. Here are the nRF9160 order codes and definitions. Defined here are the nRF9160 code ranges and values. Defined here are the nRF9160 product options.